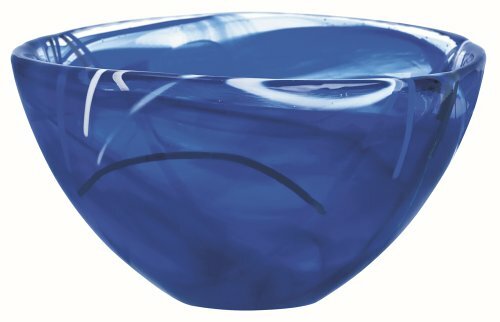 Colored swirls in the glass are something of a trademark for Anna Ehrner, and the Contrast bowls both emphasize and contrast beautifully with each other. Each bowl is unique, their simple shape reflecting the willfulness of the melted glass. Truly elegant blue, white, lime and black bowls that make their own statement even after their contents are gone! Also available in a serving bowl! If you have any questions about this product by Kosta Boda, contact us by completing and submitting the form below. If you are looking for a specif part number, please include it with your message.